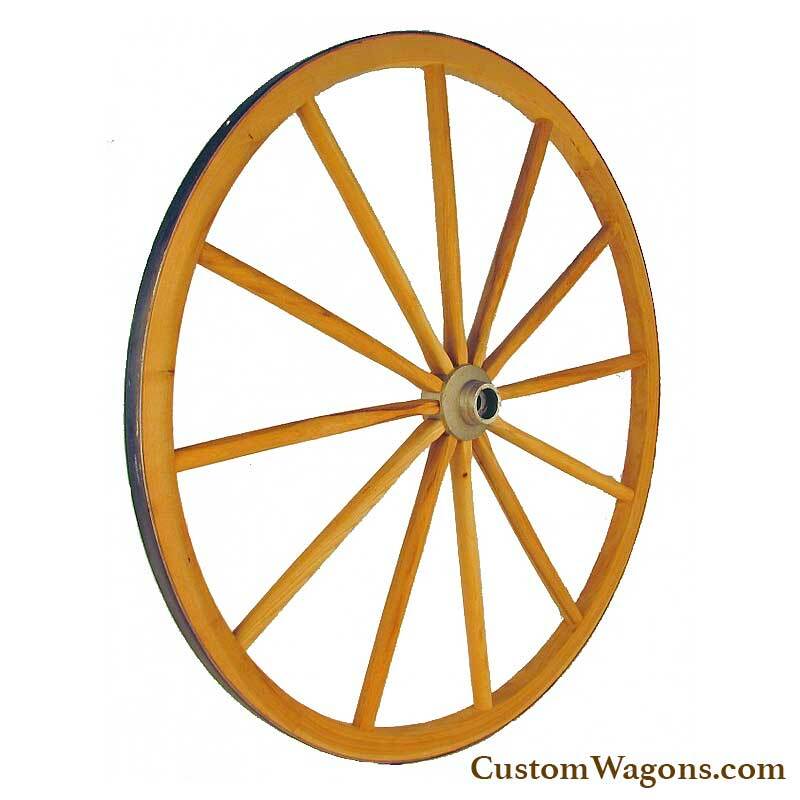 Wagon Wheels,Solid Aluminum Hub, used for yard and display carts. 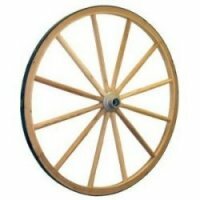 This wagon wheel is made of hickory wood, has 12 spokes, 1 1/4 wide, 1 1/5" thick, solid aluminum hub, 7/8" axle hole in hub, and is designed to be used for yard and display carts. Our steam bent hickory solid aluminum hub wagon wheels are standard with a steel tire rim, we do not offer this wheel with a rubber tire. Solid Aluminum Hub Wagon Wheels are available in the following sizes, 28", 32", and 36". We also build custom any of our wagon wheels to fit any size requirements, need, or project, for custom wagon wheel quotes, please contact us. Axles are available for all our our wagon wheels, contact us for prices. These wagon wheels are not only authentic steam bent wagon wheels, they can be used to add that rustic, country, or western decor to any room or landscape. We ship orders as soon as the wagon wheel is made, however, please allow 14-21 days for delivery. We normally ship UPS Ground Residential, Ground Commercial, or freight, depending on the size of the wagon wheel. If you need faster delivery, please contact us. We also build custom wagon wheels to fit any need or project, for custom wagon wheel quotes, please contact us.